- Their previous two albums (1978's 'Nielsen Pearson Band' and the self titled 1980 release) were solid, well crafted affairs, but it's their third and final album 'Blind Luck', which most AOR fans are familiar with and which is rightly lauded as a classic of the West Coast genre. 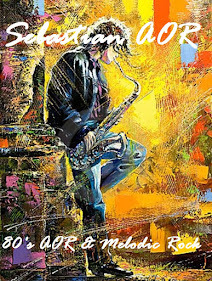 As you can imagine this album received zero publicity in the UK when released in the summer of 1983 and I therefore stumbled upon this album almost by accident - or should that be 'Blind Luck'? However a quick scan of the impressive list of the supporting cast - a veritable who's who of some of the hottest session musicians of the early 1980's, told me all I needed to know. If you check out the guys on the sleeve I think you know what to expect, quite clearly they have been taking a leaf out of the John O'Banion book of fashion tips - casual jackets and skinny ties were de rigueur for 'undercover lovers' back in the early 1980's. In fact John O'Banion is a good reference point musically, plus of course there's a dash of Toto lurking there in the mix (invariably because the ubiquitous Steve Lukather has several guest spots). The albums strength lies in the stunning harmonies of this duo coupled with their ability to pen a catchy tune - a feast for those who like their music heavy on the melody (as opposed to the guitars). 'Hasty Heart' is a good way to start proceedings, especially when the intro has Robbie Buchanan's swirling keys in perfect tandem with Mike Landau's power chords. The icing on the proverbial cake of course, being the killer vocal hook and Luke's free flowing solo on the fade out. 'Sentimental' is textbook perfect AOR - pulsating keyboards giving way to some solid Mike Landau riffs and yet more sumptuous vocal harmonies. 'Too Good To Last', the David Robert's penned classic (and the only cover on the album) is the equal of the original due to an immaculate performance from Reed Nielsen whose plaintive vocals encapsulate perfectly this song's introspective mood. 'Break Nobody's Heart' is a fine up-tempo rocker punctuated by Mike Landau's distinctive stop/start guitar similar to that which was deployed to great effect on Steve Perry's 'You Should Be Happy'.The poignant 'I Hear You Breathing' is musically lighter fare approaching Player territory, but a pleasant way to round of side two nonetheless. 'Laurelei' (not the Styx classic) sees the boys perfecting their best Toto moves. Hats off to guitarist Charles 'Icarus' Johnson who does a surprisingly good Steve Lukather impersonation with some shredding solo guitar - no mean feat considering the guy normally keeps company with Al Jarreau and Stanley Clarke. Not exactly AOR luminaries in my book anyway! The memorable 'Expectations', is predominantly driven by Robbie Buchanan's staccato keyboards. Charles Johnson's guitar takes a back seat this time around. The undeniably haunting 'Fade Away' features some wonderfully understated guitar fills from that man Lukather and is characterized by yet more of those lush vocal harmonies. 'You Got Me Where You Want Me' is perhaps the most overtly commercial fare on an album chock full of potential US top 40 material, but ironically for me the album's low point. A little too throwaway it sounds like a tune that didn't make the grade for George Benson's 'In Your Eyes' album.Fortunately album closer 'Carrie' is a pleasant, mid paced rocker and a good way to end the album. - In the same category as Richard Page and Steve George (Pages, Mr Mister) and “Bugatti-Musker” you have Reed Nielsen and Mark Pearson and their teamwork was called “Nielsen Pearson”, and they released three albums, and re-released “Nielsen Pearson” and “Blind Luck” on one cd at the label Vivid Sound Corporation, Japan. 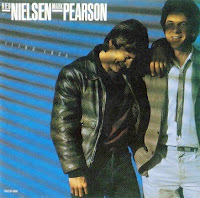 It started back in 1978 with the release of “The Nielsen Pearson Band”, this album is more in the country music style, but you could hear the roots to the west coast music. 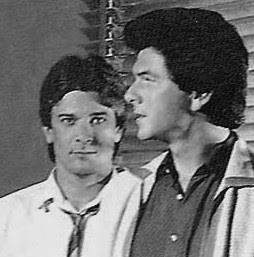 In 1980 they brought Peter Wolf, Richard Landis, tom Scott and David Foster into the studio to work on the second release. Same year it was relased, and the album became a big hit for Nielsen Pearson, and the tune “Annie” where on of the highlights from the album.